At the end of August, we were met with a massive surprise as Eminem released his latest album out of absolutely nowhere. Many have taken the route of surprise drops as it has benefitted them in the past. Em decided to try it out and it ended up paying off as Kamikaze is seen as one of the most exciting albums of the entire year. 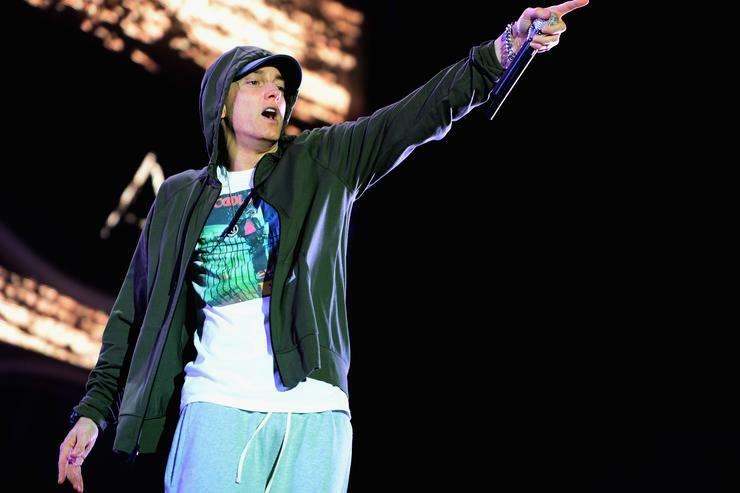 The legendary rapper felt a need to redeem himself after letting his fans down with Revival and he did just that, marking the return of Slim Shady with the new album. The project was commercially successful too as it has just been revealed that he has earned platinum certification in the United States for the album. At this point, it’s a little weird if Eminem doesn’t go platinum. It’s more a question of when rather than if. The answer to that question is today as Kamikaze has just earned Marshall another plaque with Chart Data announcing the news on Twitter. Many were satisfied with the effort Em put forth on the full-length, praising him for going back to the basics. Congratulations to Eminem for achieving yet another platinum-certified record from the RIAA. Here’s to many more in the future!